5 different things to try for dinner this week. 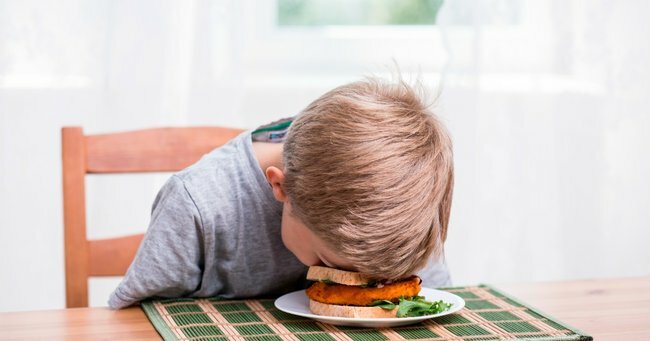 5 ways to stop déjà vu at dinner time. My mother Jan, bless her, had a very set menu on rotation for us kids back in the 80s. Tuna mornay and rice, beef stroganoff, chow mein, and the ultimate go-to, the plate of steamed (wilted?) vegies and meat. With gravy on special occasions. Now I confess, as much as I riled against it at the time, the grown up, busy, working-mum me tends to adopt the same approach. Once I ‘master’ a meal (a nice, loose definition of the word master there) I tend to stick to it. Most weeks my shopping list making brain will resort to some sort of hybrid Thai curry, mild, spaghetti bolognese (a no brainer), a tuna puttanesca or whatever Mexican readymade meal combination that makes sense to me at the time. But even I get bored of serving up the same meals time after time, week after week. And then there are those mid-week moments when you just can’t even deal and the thought of frying an egg is too much. We’ve all been there. Well, there are alternatives. Here are five ways to avoid dinner Ground Hog Day. 1. Encourage the kids to choose and cook a meal. Now this is obviously age-dependent, but once your kids hit high school, they will most likely be doing a Home Ec class, and they can actually do more than they let on in the kitchen. With a little supervision from you and some control over choices on their end, you’ll be surprised how well this can turn out for everyone. 2. An old favourite with a new twist. Instead of having your trusty bolognese with pasta – so obvious! – why not try it as a sauce over a baked potato? A massive, hot smashed potato, some green beans on the side and a flurry of parmesan to finish off, and you have just hit one out of the park. What dreams are made of. Images: iStock. 3. Explore different takeaway options. Takeaway for the whole family doesn’t have to be expensive. At KFC, you can team chicken tenders (which are great for kids and adults alike) with delicious side dishes like their new corn wheels. KFC corn wheels have been lightly drizzled in flavoured butter and chicken salt, meaning they are not only easier to eat, they are a guaranteed favourite. The best part is the whole meal is complete and you know there will be zero eye rolls when you announce you’ve got dinner sorted! Sometimes, you’ve just gotta throw away the rule book. After a hectic day and with one too many email pings on your phone and To Do List items hanging over you, it’s nice to just mix things up. Grab some leftovers, serve them up in a bowl with a fork and hand them out in the lounge room. If you’re worried about food spillages, eat on cushions on the floor and watch TV as a family. The kids are on dishwasher duty! Ahh, easy peasy. Image: iStock. This is the dinner you have when you’re not actually having dinner. Fried egg, bacon and BBQ sauce in deliciously thick bread? Surprisingly satisfying at night-time. A toasted bread roll with leftover stew and gooey cheese? Inventive! Or – and no judgment here please – breakfast cereal with lashings of yoghurt, fruit and nuts; deliciously decadent and definitely unconventional. So next time you’re in a dinner rut, remember, there are other options. Mix it up and the kids will be secretly impressed. They don’t even really how lucky they are that it’s not the 80s anymore. How do you mix things up at dinner time?